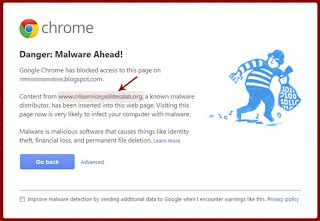 Is your blog on Blogger containing viruses or malware? In the beginning we should mention that blogger blogs are safer than other sites, but this does not mean bloggers are infected with viruses and malware, but before we know how to protect bloggers we first know what malware is and what is the damage to the site. 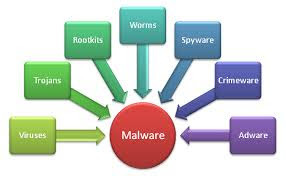 Malware is a kind of software or software that harms computers and operating systems. It is designed by the hackers illegally and contains malware, Trojans, Worms, and other malware. Having a link to a site or file with viruses. Links to images from sites infected with viruses. When a site becomes infected with one of these malicious programs, the visitor will receive a warning message on the results of the search or on the browser stating that visiting this site is dangerous to the computer, which causes the visitor to lose confidence in the site and there is a rapid drop in site statistics. Therefore, your site should be checked regularly and any problem solved quickly. If an antiservice detected by a malware is found on the site or blog, a warning message will appear on your browser that contains the link to the cause of the infection. You can search for it in the blog template and delete the associated extension completely. You must completely delete this connector and save the template. 1. Check when choosing a blog template and should be checked before installing the code. 2. Do not add images to Blogger blog posts by adding URL from other sites such as WordPress or copying images from websites to your blog. If one of these links is infected, it will infect the blog. It is preferable to upload images by uploading images from the device. 4. Conducting the site inspection from time to time. If your blog does not contain viruses or malware, you'll find a message "We did not detect any security issues on your site." If they contain malware, try to find out why. This tool will help you find out why viruses and malware are caused.